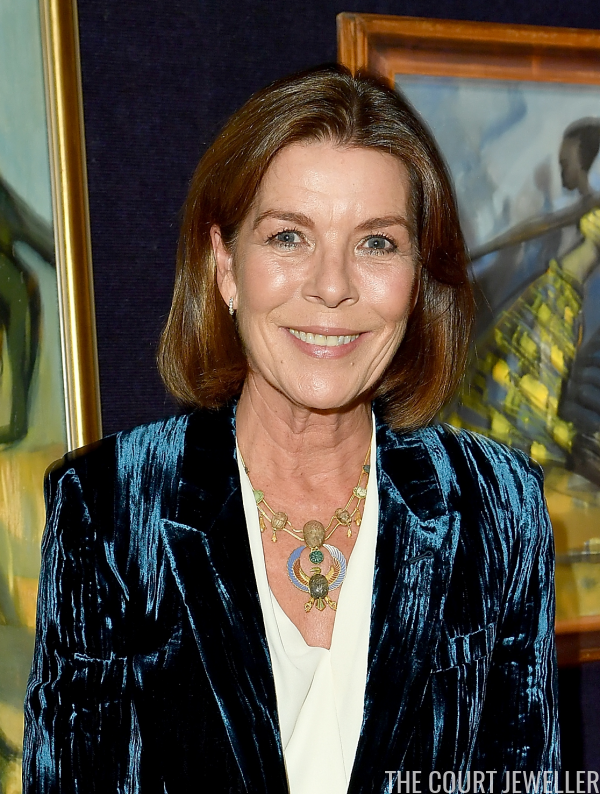 Princess Caroline of Monaco was in London on Monday, and she packed a major statement piece of jewelry in her luggage for the trip! 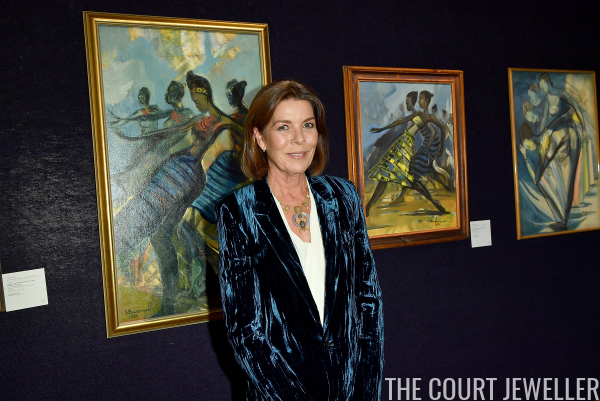 Caroline was in the city to attend the "Bienvenu au Congo" exhibition at Bonhams. She co-hosted the event alongside Noella Coursaris, founder of Malaika, a foundation that uses health and education programs to empower Congolese girls and their communities. 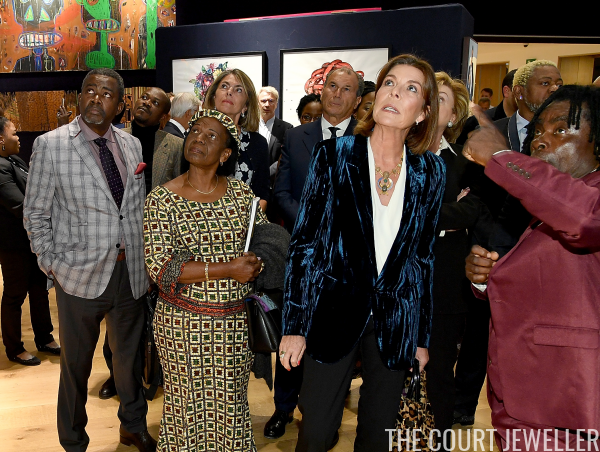 The event benefitted both Malaika and Princess Caroline's own foundation. 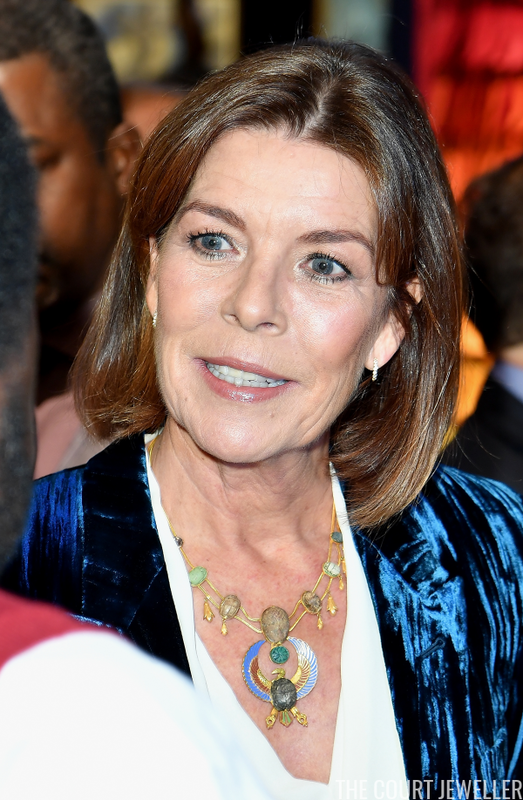 For the event, she wore a massive statement necklace with a stylized eagle pendant. Here's another, closer view of the necklace. She very smartly paired it with a much simpler pair of hoop earrings. 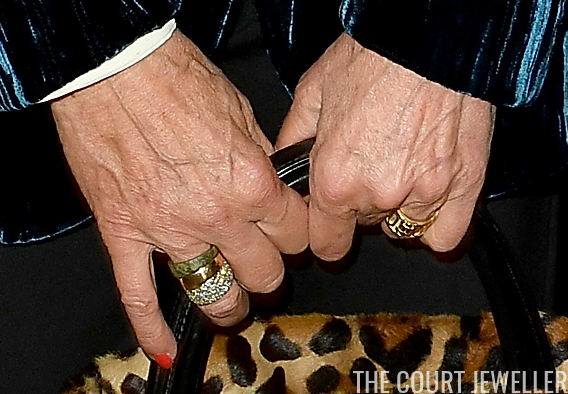 Her jewelry look was rounded out by rings on both hands, including some fashionably stacked pieces.